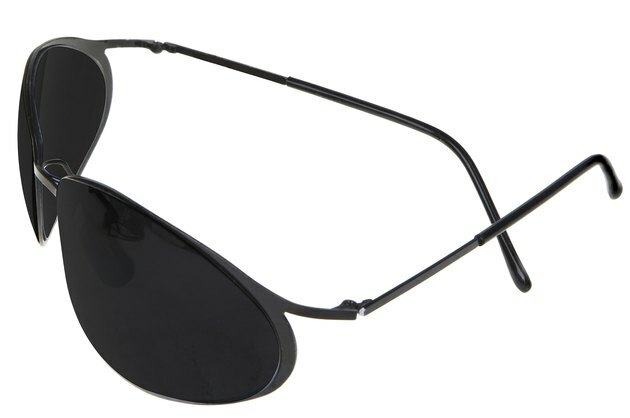 Vendors sometimes choose to place price-tag stickers on the lenses of the sunglasses they sell. These stickers are often hard to remove, and getting rid of the sticky residue they leave behind can be even more of a challenge. Fortunately, you may already have a cleaning product in your home that will remove stickers from sunglasses. You can remove stickers and their residue from sunglasses. Soak a section of a soft cloth in acetone nail polish remover. Dab the cloth over the sticker to saturate it with the nail polish remover. Allow the sticker to soak up the nail polish remover for a minute. Scrape away the sticker using your fingernail. The nail polish remover will dissolve the sticker glue and allow the sticker to come off easily. Wipe away any remaining residue with the cloth soaked in nail polish remover.